The approval of the IDN country code Top-Level Domain (ccTLD) Fast Track Process by the ICANN Board at its annual meeting in Seoul, South Korea in October 2009, enabled countries and territories to submit requests to ICANN for IDN ccTLDs representing their respective country or territory names in scripts other than Latin. 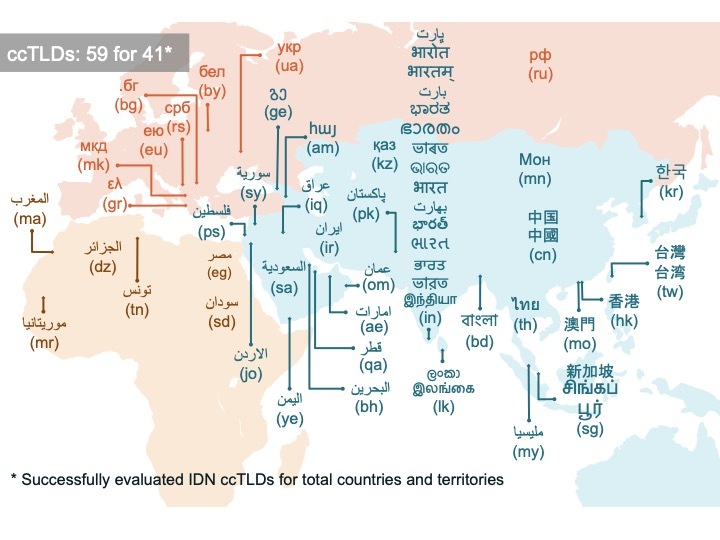 A country or territory represented on the ISO3166-1 list is eligible to participate in the IDN ccTLD Fast Track Process and to request an IDN ccTLD string that fulfils the additional requirements defined in the Final Implementation Plan for IDN ccTLD Fast Track Process (FIP) [PDF, 989 KB]. 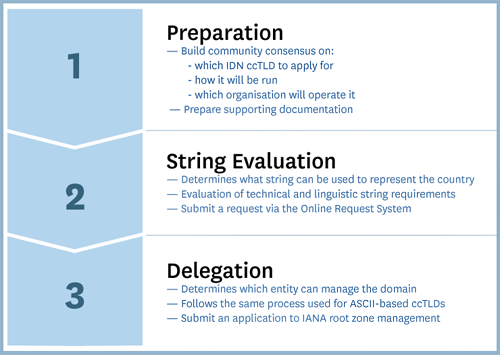 Please contact IDNProgram@icann.org for any inquiries about the IDN ccTLD Fast Track Process.